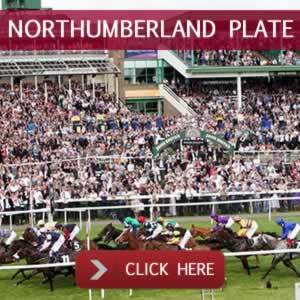 Newcastle Racecourse Hospitality features, mouth-watering menu and first class service. With a great choice of Restaurants and Private Boxes everything is set to give your guests an unforgetable day at the race. 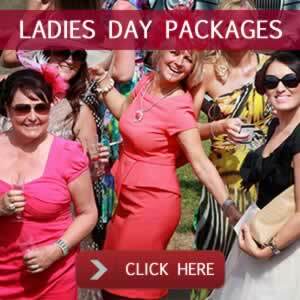 Newcastle Racecourse and it's hospitality packages are an ideal way to celebrate that special occasion, entertain clients or just have a great day out with family or friends. Newcastle Racecourse plays host to some of the north east's premier racing action, set in 812 spectacular acres in the beautiful Gosforth Park Estate. With a mixture of both jump and flat meetings throughout the season, Newcastle is suitable for both a seasoned racing veteran or eager first time spectator. Newcastle's highlights include the Northumberland Plate Festival in June & the Beeswing Ladies' Day in July, as well as regular midweek and weekend racedays. Private Boxes are available for all meetings and are located in both Brandling House and the Colonel Porter stand, all are ideal for Corporate entertaining or Family occasions. Viewing Restaurants are available for smaller parties in the Gosforth Park Suite and Park View Suite. For the two major meetings at Newcastle, the Northumberland Plate and Beeswing Ladies Day there is an impressive array of both Private and shared Marquee facilities along with the usual Boxes and Restaurants. Whatever type of Hospitality, size of your party or budget we are sure to have the package to suit your requirements at Newcastle Racecourse. Why not get in touch with us today and you can be assured of great service and advice.